I bet Six Women of Salem is fascinating! Six Women of Salem should be good. Both of those sound good. They are the type of books I like to listen to in audio. Great selection! 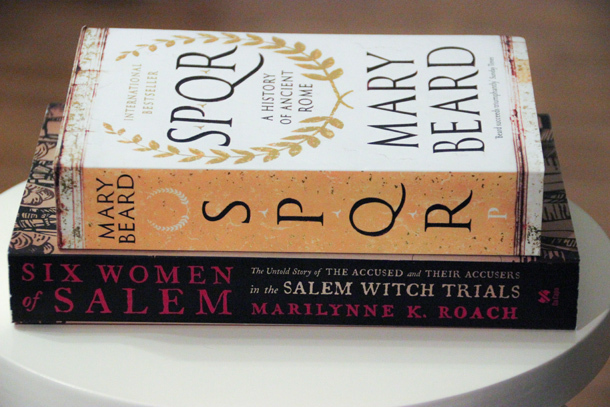 I just started reading SPQR this weekend, but I tend to be slow with nonfiction. I like what I’ve read of it so far though. Enjoy your reading! The Roman history book looks good. My mother is Roman and I have visited Rome several times. So rich in history!